I am so thankful to be part of the Hanes Comfort Crew. Last year, they invited me down to Disney with my family to talk social media and this year I’m back to discuss my experience with the newest members. Tomorrow, the “conference” officially begins. But – because I am psycho – the family and I flew down BRIGHT and EARLY and took advantage of the full day. 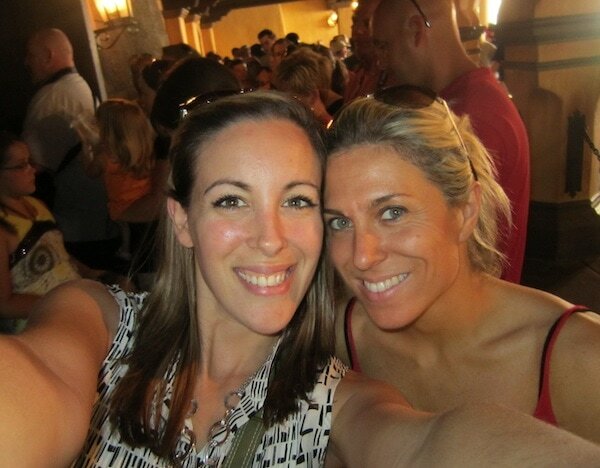 Thankfully, my bestie Audrey McClelland (partner with Getting Gorgeous) is here with me. Our families have been assigned to the same group (yeah) – so we have the next few days together. 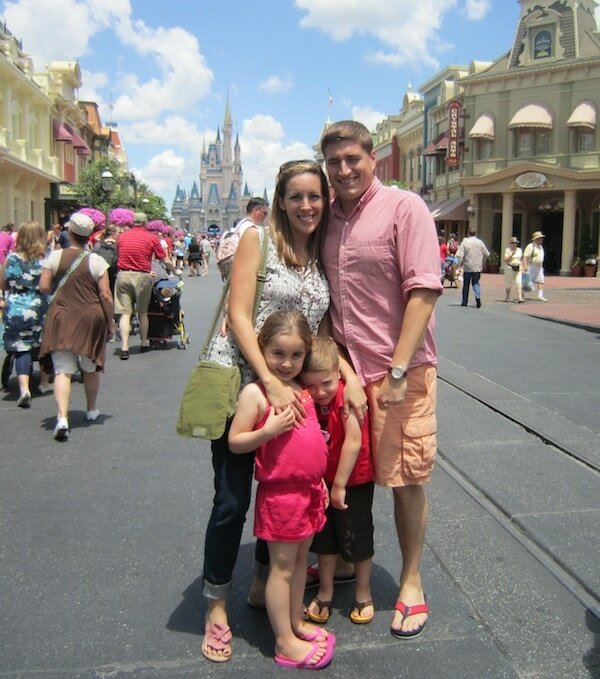 We took the kids to Disney but it was HOT HOT HOT. 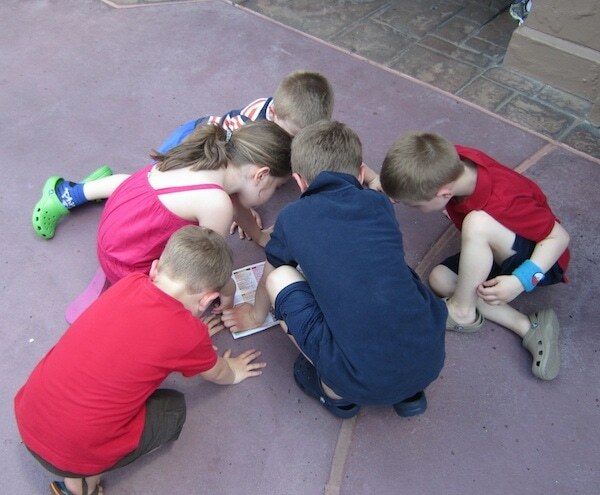 This shot is so great – because they were all PLANNING on what to do at the park. Meanwhile, the parents were PLANNING to head back to the pool! It was sweltering!!! We went to the pool for a few hours, showered, and then headed down to meet the entire Hanes Comfort Crew. They expanded to include about a dozen new bloggers which is so GREAT! Most I knew personally, but some I met for the first time. Always a treat to meet new bloggers from different areas of the country. We had a private dinner at the Floridian by the beach. 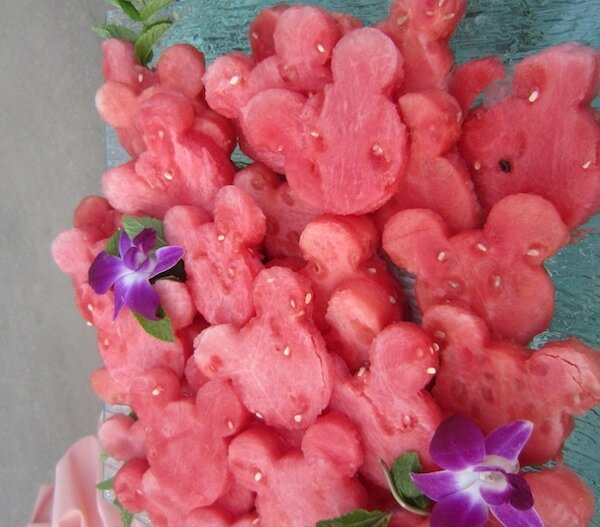 They had an INSANE spread – but my favorite were these Mickey watermelons! Love it! Lastly, they took us to an area to watch the fireworks – but they got pushed back an hour and the kids couldn’t stay up. Natalie was OUT FOR THE COUNT. I’ll post more shots each day this week! Stay tuned! Previous Post: « I Chipped My Front Tooth! 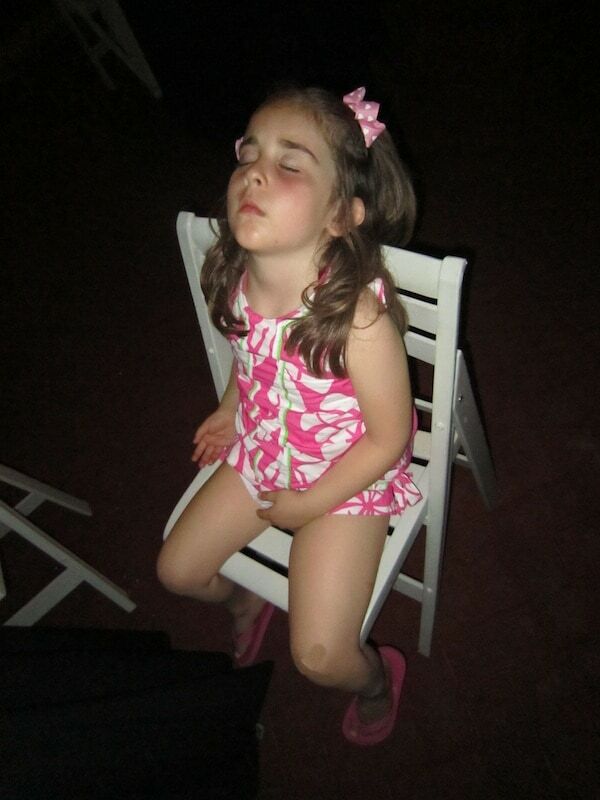 Love the pic of Natalie sleeping, so adorable. Can you please find out where Audrey’s bought her white capri jeans?! You are in Florida-shorts are a must after Feburary down here in the deep south! LOL! I came off the plane and went straight to the park. I was DYING!!!!!!!!!!! These pics are fantastic. 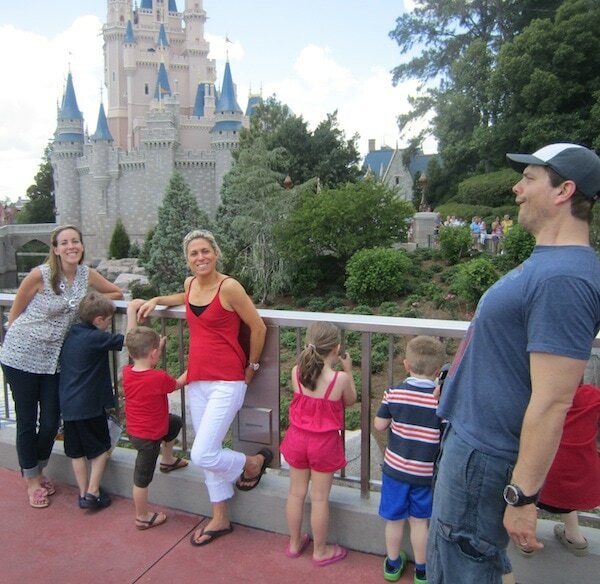 I really like the one with your daughter sleeping…that kind of sums up Disney! I seriously cannot wait to take my 3 boys there someday…and those watermelons are awesome- I would have taken a picture of them too!